Sometimes it’s okay to put your ongoing ‘to-do’ list aside and focus on tasks that stem your creativity. This past week, I moved my focus onto a project that i’ve been wanting to do for years (literally). 6 days ago I managed to snag an old playhouse for just $50. I had been eyeing up the new Costco models but couldn’t quite justify spending $400 on something I wanted to pull apart and paint. So when I saw this I knew I had to grab it. 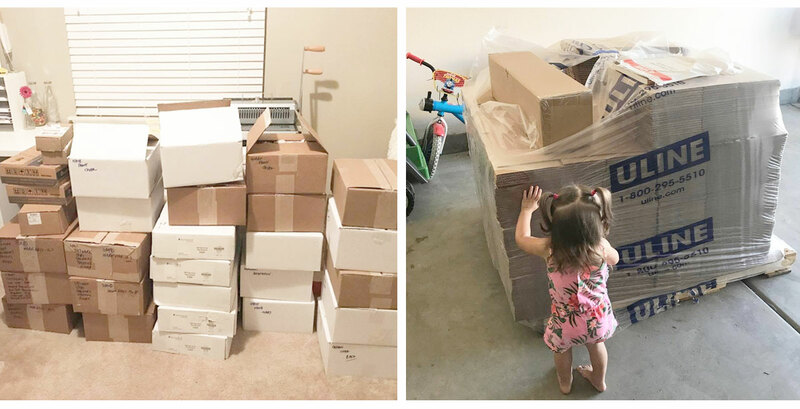 The playhouse makeover in total took 3 days, multiple late night shopping trips to Target, Homegoods, Walmart, Home Depot and Hobby Lobby, and a few mandatory Amazon purchases. And i’m so happy with how it turned out (as are the kiddos)! The Lemonade Cafe is really a compilation of my favorite things – yellow, cute chalkboard signs and a ‘no shoe’ policy. Overall, it really create a positive, happy vibe! Perfect for another California Summer. Now came the evening glow. With hot days and warm evenings (most of the time), I wanted to make sure that the kids still had the option of playing all day. So we installed battery operated lights (operated from a remote control) suitable for outdoor use – we don’t really have to battle with rain, but the sprinklers might otherwise pose a problem. So, who wants to come over and play?! I don’t drink Coffee, or any hot liquid for that matter, so i’ve often struggled with that “go to” method to wake me up that others speak so highly of. Whether it’s a can of cold pepsi from the fridge or sneaking a candy out the kids treat box, sugar often gives you that ‘kick’ that you need to get moving. I usually revert to it around 3:00 PM when I need that midday ‘pick-me-up’ but, feel free to use it at your disposal (just go steady; your dentist will thank you). Having a good playlist is key. And picking the right playlist is key. Nothing says “cuddle up on the sofa with hot chocolate and a chick flick” quite like soppy love songs. Find something cheerful that motivates you. But nothing too classic or you’ll spend the next few hours singing along and losing focus. Save that one for car journey. I use Spotify, but you can really use anything that works for you. I’m not sure I could live many other places than Southern California. 360 days of sunshine definitely helps motivate me. And those other 5 days where the clouds roll in are usually the days where i’m searching for the love songs and a blanket for the couch. If you’re not fortunate enough to have the sun as a re-occuring visitor, find the lightest spot in your house and make that your office. My office is actually one of the darker rooms, so I rarely use it during the peak hours of the day. No distractions are key. I usually have the most motivation when the kids are in bed and hubbies passed out on the couch, because I can get things done with no distractions. Find the time that works best for you, and use it to your advantage. This one’s important. Because if your body is tired, you’re not going to get motivated. Compare it to trying to get things done when you have the flu. It’s just not going to happen. Take care of yourself first and foremost. You can’t expect your body to help you out, if you don’t help it. What are your best practices for getting things done? It’s so easy to have big expectations and over plan your day. I think we’re all guilty of thinking (and hoping) that we can fit more into our already busy schedules. But, packing too much in only needs to disappointment and feeling unproductive. Be realistic with your goals. Our List It Planner is purposely designed to hold no more than 3 ‘top priorities’ (things you must do before the day is over) and 10 normal ‘to do’ tasks. The intention is that you won’t plan too much and can focus on the items at hand. 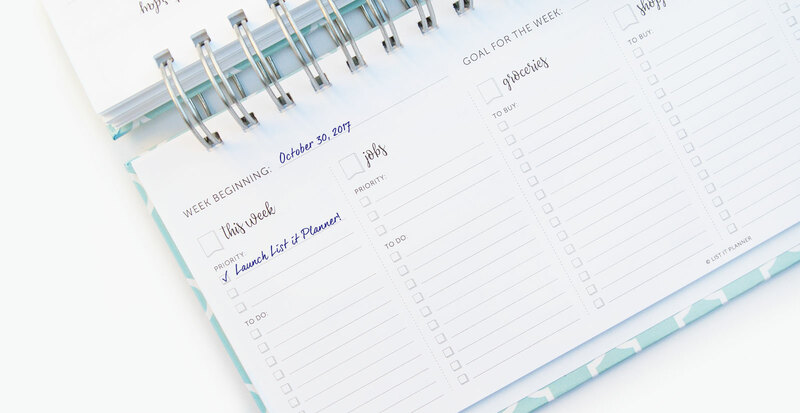 An overflowing to do list is only going to be counterproductive (and let’s face it, who feels motivated staring at something totally unachievable). I typically spend my Sunday’s planning – it allows me to plan for the week ahead without the distractions of clients emailing me, my phone ringing, or feeling pressured to meet deadlines. A clear mind is key. Use the time to really divide out your tasks and identify room for extra to dos, should they pop-up during the week (and they usually do!). You’ll see we even have space to ‘plan for the week’ assigned every Sunday to help you stick to some sort of schedule. Did you know? Every minute spent planning saves you 10 minutes in execution. When you have a list, you have a track to run on. Mark the important items (that you can’t finish the day without) at the top under ‘Priority’. We only give you 3 for each day; anymore is just going to cause unnecessary stress. Start with these; you’ll feel better knowing that your ‘priority’ items are all marked off by 12:00 PM and you can focus on checking off those other to dos. It’s so easy to just write ‘Website Design’ down on the list, but you won’t feel like you’ve accomplished much by the end of the day, nor does it give you a clear direction. Instead, list out the stages of the project so that you can define what needs to be done. Your procrastination will thank you later (I promise!). Now you’ve given your day structure, you can use it to stay motivated and inspired. Start checking off those ‘to do’ items first thing in the morning. You’ve got this! What’s your favorite way to plan? We’d love to hear your process. This is a great tool for keeping all your notes / thoughts in one place. I use it to keep track of my ‘quick thoughts’ or track items i’m working on, but the possibilities are endless. The search functionality is great too, and you can share notes with friends / co-workers / clients. TOP TIP: Download the app so that you can attach photos / images while on the go! I personally hate creating new passwords, because you can guarantee the one you’ve been using since high school is now no longer accepted because they need 25 characters, 3 symbols, 4 uppercase letters and the last 4 digits of your bank account. Seriously. And since everyone has different requirements on what the password must be, you can guarantee i’m never going to remember it. This application keeps track of all my passwords, enters them by just 1 click of a button, can create those overly complex passwords for me (should I choose to do so), and it syncs up with all my devices. So when i’m jumping from Macbook to iMac, everything syncs up seamlessly and I never have an issue signing in again. TOP TIP: Use it to store your credit cards too (they have a section for that). That way, when you’re online shopping from the couch, you don’t need to get up to find your credit card. My files are valuable and contain years of photos, work and memories that I wouldn’t want to lose should our house get flooded, burnt down or collapse (I do live in an Earthquake state). I’m sure we can all relate with a hard-drive failing at some point in your life and being told your files are gone. Not only does Dropbox sync everything between all my computers, but it creates a safe environment so that my files are protected outside of my computer. It really is the future! TOP TIP: Try and keep your files in clearly marked folders. I always name all my files with the date too, so that I know which one is the latest version and when it was last edited. I really use this one for my design business, but it’s such a useful tool to help keep track of all my receipts, record expenses and calculate my taxes for me. It syncs up your bank accounts and lists each item purchased so that you can assign it accordingly to business / personal expenditures. It’s also a great tool to see how much you’re spending on food, travel costs, etc. Particularly useful if you’re trying to budget and work out where unnecessary costs are going. TOP TIP: Try to log in once every couple of weeks to mark items as business / personal before you forget. It will stop you having to go through piles of receipts at the end of the tax period to work out what each item was. As i’ve mentioned previously, the List It Planner is not to be confused with a calendar. 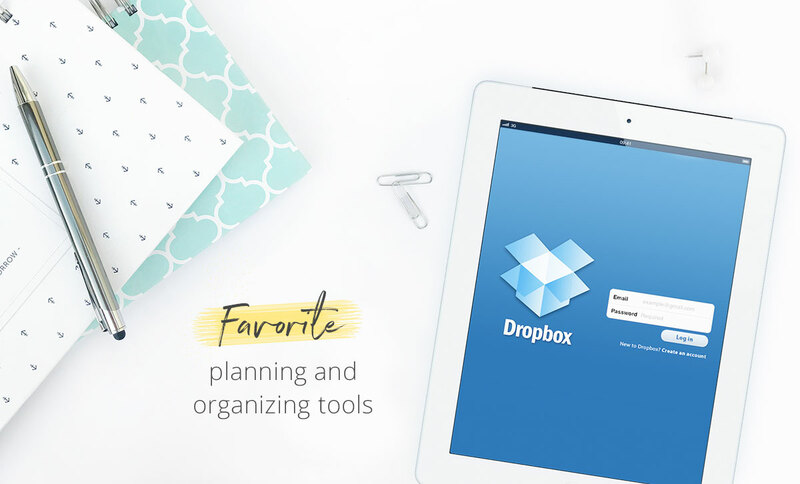 It is an essential planning tool to help you organize, plan and co-ordinate your endless tasks and to-do lists. I like using an online tool for my calendar so that I can move events / meetings around should they get changed, and so that I have everything synced on my phone with reminders as I need them. It works perfectly, so having it on paper too just doesn’t seem necessary. TOP TIP: Utilize this with your List It Planner to mark down those important ‘to-dos’. Have a credit card bill due on the 15th of the month? Make a note on your to-do list for the 13th to pay it. This will ensure it gets paid on time. For those really important items, I’ll set a calendar alert to remind me. Well, this one had to be in here! I use the List It Planner to gather all my tasks, to-do lists and to help organize my day / week. I quickly learnt that I can’t focus on one thing when i’m trying to remember everything else that I have ‘to-do’. It’s also impossible to take on more work without really knowing what I have to do already. In addition to the weekly overview and daily tasks, the other lists are great for keeping track of my shopping lists (grocery and regular shopping), birthday gift lists, holiday gift lists, vacation packing lists, important information, and everything else! TOP TIP: Take it around with you so that it’s on-hand when you need to check an item off that to-do list, or when something pops up. It goes great in your handbag as well as looking great on your desk. This one’s particularly good if you work with lots of people and want to start a conversation where everything is tracked, noted and everyone can share images / files together in one group. I usually use it for clients when brainstorming, but you could totally use it for personal items too with family and friends. The interface is so easy to navigate through, too. What does everyone else use for their go-to applications and planning tools? I’d love to know your top picks! It’s here! 2.5 years in the making and many, many sleepless nights and I am beyond excited to share it with you all! I started this project back in April, 2015. I had left my full-time job on Catalina Island working as a Graphic Designer, Website Designer and Marketing Specialist and embarked on the journey to being a freelance designer. This is a path I honestly never thought I would take; I was so content working in companies, but when I had kids my goals and aspirations changed. My husband and I would work complete opposite shifts so that one of us would be there for the kids as much as possible. Although it worked out great (for the kids), I rarely saw my husband, and we rarely had ‘family time’. I’m a strong believer that life is too short and with that, we should make the most of every day and every opportunity. So, I took the plunge into the ‘work from home’ career. I loved that I could set my own hours, be my own boss and pick and choose the projects that i’d really enjoy. Well, business picked up fast (and for that, I am forever grateful), but I really needed something to help keep me organized so that I could see how much I had going on for the week. I was soon working 60 + hour weeks, plus trying to juggle the ‘stay at home’ mom thing, and all the reasons I went freelance were soon disappearing. I soon realized I had to monitor the amount of incoming work I took on and get a better idea of what I already had ‘to do’ each day. I had tried so many planners on the market (daily planner, weekly planner, online planners… you name it) but nothing did exactly what I needed. I didn’t need a daily calendar – I had iCal for that, which worked perfectly for me. I just needed something that would allow me to plan for the day and get an overview of how my week looks, so that I can take on new tasks / projects accordingly. I needed a space to write down lists that wouldn’t go missing or get lost under piles of other lists. And it felt so good being able to ‘dump’ my brain out and not having to remember it. Hands up how many of you have gone to the store for 1 thing and still come back without it? Yep; me too. I’ve always used lists; probably because I have a terrible memory. But if it’s not written down, chances are it won’t get done. Plus, I love to look back on my day and see all these items marked off as complete. Only then can I truly relax and feel like I’ve accomplished what I needed to do for the day. The List It Planner isn’t just a daily planner. It’s a place to write down your shopping list, weekly list, birthday list, christmas list, vacation packing list, mini-trip packing list, important information and anything else you want to write down (we have space for that too). The past few weeks leading up to launch have been busy. Super busy. After a couple of months at the printers making the final touches and making sure everything looked perfect, I started collating everything together. And while I may be good at designing and organizing, I apparently am not too good at calculating the space required for these. You can imagine my horror when the postman knocked on the door with the shipping boxes, and practically had a fork-lift truck for them (I was expecting to carry them by hand). I think we have boxes and planners in every cupboard, closet and shelf space throughout the house. But, I wouldn’t have it any other way. I am beyond excited to share this with you all and truly hope that I can help alleviate the stress / unorganized chaos from so many other lives, too! My 3 kids (Tiffany, Tyler and Tiana), my amazing hubby, Summer, sunflowers, flip flops, UGG boots, anything yellow, design, England, and eating out (because I can't cook, at all). The List It Planner is proudly produced in the United States - all planners are lovingly printed and assembled in Southern California. Thank you for your support.